Sri Lanka’s tourism industry is starting to recover from the recent political crisis, which resulted in dampened inbound arrivals for the traditional peak season. The country now has a new cabinet, with the reappointment of Ranil Wickremesinghe as prime minister on December 16 ending a 52-day political impasse that followed president Maithripala Sirisena’s sacking of Wickremesinghe and replacing him with former president Mahinda Rajapaksa. Tourism minister John Amaratunga, who was reappointed along with many other cabinet ministers, said the new So Sri Lanka destination marketing campaign will be launched at ITB Berlin in March along with plans to target an ambitious four million arrivals by 2020. Sri Lanka received 2.3 million arrivals in 2018, short of the expected 2.5 million. “All promotional campaigns were in limbo (due to the political crisis) but we’ll roll them out again,” he told reporters last week. Campaigns in the next few weeks include participation in travel fairs in Mumbai and Delhi, and the Arabian Travel Mart in Dubai. Several countries, including the UK, the US and Canada, had earlier issued travel alerts advising their citizens to be wary when visiting Sri Lanka. Tourist Hotels Association of Sri Lanka president Sanath Ukwatte is optimistic that with a cooling of tensions, travel advisories are now more likely to be relaxed. Still, Ukwatte pointed out that the usual tourism flows have restarted and noted that travellers don’t generally follow travel advisories to the tee. “Look at the Maldives last year, despite travel advisories due to a state of emergency, arrivals didn’t fall,” he said. 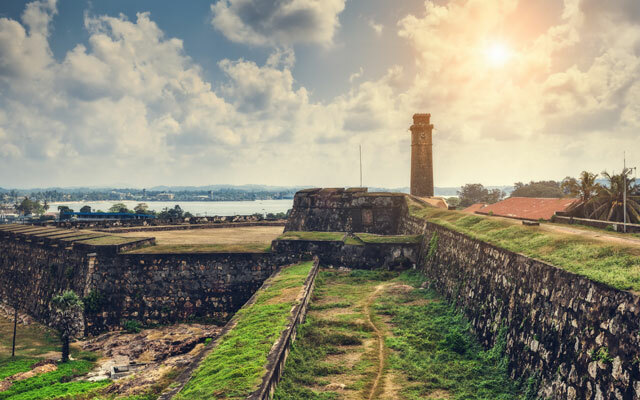 “Things are looking good,” Ukwatte added, revealing his projections for bumper year in arrivals following Lonely Planet’s endorsement of Sri Lanka as one of the best places to travel in 2019. Minister Amaratunga was quoted as saying Lonely Planet officials were to visit Sri Lanka to launch a fresh programme to showcase Sri Lanka, which too was delayed. No details were available but Ukwatte said the authorities should publicise the Lonely Planet endorsement in Sri Lanka’s overseas markets. “We need to be publicising this a lot overseas (tradeshows and roadshows),” he said. There remains some lingering uncertainty in the country though. Appointments to the position of chairman of the four tourism institutions – Sri Lanka Tourism Promotion Bureau, Sri Lanka Tourism Development Authority, Sri Lanka Institute of Tourism and Hotel Management, and Sri Lanka Convention Bureau – are yet to be finalised. The appointments, all affected by the political upheaval, are expected to be finalised in the coming week.